How Much Compensation For Police Negligence Or Misconduct? The Police are supposed to be there to uphold the law and to remove those who aren’t law abiding off of our streets to keep our society a safe one. However, unfortunately there are some Police officers who abuse their position and may act inappropriately or illegally in connection with their official duties. With the power of mobile devices and social media, people are now able to record and show such acts and Police misconduct cases appear to be on the rise. Police misconduct regulations clearly need to be addressed and measures put into place to reduce the chances of it occurring. There are many types of Police misconduct, and if you feel you have been mistreated, then we can assist you in claiming compensation against the Police. Read on further for more information Police negligence claims. A guide to accident claims for Police misconduct. What to do if you are involved in Police misconduct. How to begin a Police negligence or misconduct claim. I work as a Police officer, can I claim against the Police for negligence? What can be claimed for after Police misconduct? What happens at a Police misconduct hearing? Can I sue the Police for failure to protect? A Police officer assaulted me, can I claim compensation? The most common types of Police misconduct. How much compensation will I get after being involved in Police misconduct? No Win No Fee Police negligence and misconduct claim. Why choose us as your claims service for your Police misconduct claim? Police negligence and misconduct can often have a lasting impact on a person’s life. Whether you’re assaulted by an officer in the UK physically or verbally, been discriminated against or perhaps been the victim of a miscarriage of justice, you can make a claim. This guide informs you of everything you need to know regarding suing the Police for negligence including potential compensation payout amounts, what to do if you are a victim of Police misconduct, and how to begin launching your Police misconduct claim. The term ‘Police misconduct’ is used when a Police officer abuses their position of authority and violates their rights as a Police officer, engaging in inappropriate and / or illegal activity. Often this can include instances such as discrimination and obstructions of justice. Police misconduct can range from mild to more severe forms of corrupt behaviour but are all against their moral and legal duties as an officer. Examples are that a Police officer may misuse their badge / ID to get discounts or gain entry into places, or they may be on duty under the influence of drugs and / or alcohol. Other examples are they may engage in activities such as Police brutality, assault, intimidation, discrimination, false arrest and imprisonment, witness tampering and many more, all of which can not only be incredibly distressing to the innocent people on the receiving end, and have a lasting impact on their well-being, but can also lead to a miscarriage of justice of some kind. If you feel you have been a victim of Police misconduct then don’t hesitate in calling us so we can advise you on the claiming process and launch your claim for you. Police negligence relates to when there is a lack of care, diligence and urgency in their duties which result in mistakes being made and ending with a negative outcome. In some cases, Police negligence can have devastating repercussions that could be avoided if they acted more conscientiously and with more consideration of the situation they are dealing with. If you are thinking of suing the UK Police for negligence, give us a call and we will help and advise you in any way we can. We have Police negligence solicitors that can work on your claim and get you the Police negligence compensation that you deserve. Witnesses contact information – Were there any witnesses to the incident? If so, it is vital to get their name, address and telephone number so that you can obtain a statement from them. Having witness statements can really strengthen your case when launching a claim. Write everything down – Before too much time has passed, write everything down that you can remember regarding the incident, such as time and date, what actually happened, where it happened, anything at all that you can think of no matter how small you feel it is. You should do this as soon as possible so that you don’t forget anything important. Visit a medical professional – If the incident was of a physical nature such as if a Police officer hits you, then of course you should get any injuries sustained put into a medical report. Also though, if you have suffered mentally through Police misconduct, then this also needs to have a medical report. By having the medical reports, not only will your injuries and well-being following the incident be documented but also the recommended course of treatment and recovery period will be in the report. This is really important for your case. Proof of expenses – You should keep proof of any expenses you have had as a direct result of the incident. Such expenses could be for loss of income, counselling, prescription fees, travelling costs and childcare costs. As long as they have occurred due to the incident of Police misconduct, you can include them in your claim. Photos – Depending on the nature of the Police misconduct, it may be useful to take photos of where the incident took place, or if a witness has recorded anything on a mobile device, get a recording of it. Also photos of any injuries you may have sustained would be a big help too. Assaulted by the police in the UK? What happens if a Police officer assaults you? Can you sue a Cop for assault? These may be some of the questions you are asking yourself after being a victim of Police misconduct in the UK. Or maybe you have suffered as a result of Police negligence and don’t know how to go about making a Police negligence compensation claim. Well don’t worry, all you need to do is contact us and we will help you every step of the way to make sure you receive the payout you deserve. or misconduct claim, and it gives us the chance to get some information from you too so that we can understand your situation and advise you in the best way we can. We can also arrange for you to have a local medical if needed at no extra cost to you. Then on your command, we will launch your claim on a No Win No Fee basis. What this means is that you will only be charged legal fees if your case is a success, and so you have no need to worry about any surprise legal bills! Please read further on in our guide to find out more about No Win No Fee. If you are a Police officer and have witnessed Police negligence you can make a claim. If it is you that has suffered due to negligence such as being injured whilst at work, then you have the right to make a claim. Just give us a call and we will advise and help you in any manner that we can to make sure you get the payout you deserve. We have years of experience and suing the Police means you have nothing to lose. General damages – this relates to the amount of compensation you will receive for your injuries, and the pain and suffering you have endured. Care claim – This refers to money you can claim if you have required assistance around the home whilst you recover. Also, the person who has cared for you will be able to make a claim. Loss of earnings – You are able to claim for any income that you have lost as a direct result of Police misconduct, as well as loss of any future income. Travel expenses – These include any expenses going to and fro hospital, counselling etc, and also any vehicle adaptions you may have required or any alternative travelling arrangements you may have needed to make. Medical expenses – This will cover costs such as prescription fees, counselling fees, cost of treatment. Police misconduct hearings are held in public places for openness and transparency. Anybody can attend a misconduct hearing as long as they are over 18 years of age. They are usually in a room where the facts are presented to a panel, very much like in court, and often witnesses are present to give their account of what occurred. The officer is given the opportunity to give their version of events and a chance to explain their conduct and the circumstances surrounding the allegation against them. Dismissal with or without notice. 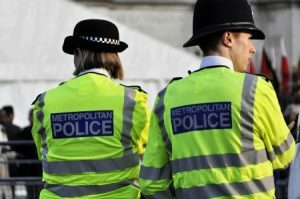 To prevent officers that have been dismissed being able to gain further employment as a Police officer with any other force in the UK, they may also be placed on the Disapproved Register. If you have suffered emotionally and psychologically as a result of being involved in an act of Police misconduct or negligence, then you can make a claim. Emotional scars very often take much longer than physical scars to heal and can have a huge impact on your well-being and ability to cope day to day. If you feel this is you, then contact us straightaway and our trained professionals can help you with care and empathy to get the compensation payout that you deserve. The Police are there to ‘protect and serve’ and in their duty to the safety of civilians should be their prime concern. Of course, the Police aren’t superhuman and can’t always prevent harm coming to everybody, but if failing to protect is due to Police negligence, then you can sue. If you or someone you know has suffered emotionally or physically, or a family member has even lost their life due to Police negligence. If so then please get in touch with us and we will answer any questions you may have and advise you on the best course of action to take and strive on your behalf to get the best compensation we can for you. Whether you are a member of the general public, or a fellow Police officer and you are assaulted by a Police officer then you can make a claim. You may be able to claim compensation directly from the Officer who committed the assault or you may be able to claim from the Police force, this would all depend on the circumstances of the incident. By calling us, we can discuss all the details during your free consultancy session to determine the best way to get the best possible outcome for you. Being arrested or detained by the Police can be a very intimidating and frightening experience especially when done unlawfully or with unnecessary aggression. If you have been wrongfully arrested or been a victim of false imprisonment, then our experienced solicitors could help you to claim compensation from the Police. Being held in custody without any form of an explanation. Being assaulted by Police in the UK. Being arrested without reasonable grounds. Having information about a person’s involvement in criminal activity that is reliable. Evidence that proves that a particular person was at the scene of a crime when it occurred. ‘Reasonable grounds’ simply means that if the arresting officer gave the same information to someone else to look at, then that person would come to the same conclusion as the officer which would validate his / her reason for making an arrest or detaining someone. However, the Police officers should always explain to you the reasons for their actions and why they have arrested you or are detaining you, so that you fully understand what is happening and why. Identify themselves to you as the Police. Explain what crime they believe you have committed. Tell you that they are arresting you. Even when someone is suspected of committing a crime, they have a right to fair treatment, and the Police have to be very careful not to disregard their rights by using their power to intimidate or hurt someone. It can seem daunting standing up to people in authority like the Police but that is what we’re are here for, to help and support you. We have years of experience and expertise in bringing claims against the Police and will do everything in our power to get the justice you deserve. When someone has been falsely charged with a crime they did not commit, due to someone else’s deliberate wrongdoing, this is known as malicious prosecution. Being falsely charged is awful in itself, but knowing that someone did it on purpose makes it even harder to deal with, and can have a devastating effect on your life. We place an awful lot of trust in the law to be fair and just, and it can cause real damage when the Police or other prosecuting authorities abuse their power. Malicious prosecution is not just simply being wrongly accused and so there must be evidence of deliberate malice as proof that the Police or other prosecuting authority are guilty of unlawful wrongdoing. False accusations such as being accused of assaulting an officer, when in actual fact it was them that assaulted you. Evidence being fabricated against you. Evidence being used without full investigation being insubstantial. If any of the above happened to you, compensation could be awarded to you for the damage to your reputation and also the legal costs incurred in defending yourself against malicious prosecution. Police have been allowed to carry Taser guns since 2003. A huge amount of responsibility comes with carrying weapons. The Police must use the correct procedure when using them and only use them when absolutely necessary. When faced with a serious threat of violence, the Police are allowed to use their Tasers if they consider it to be reasonable and proportionate to the threat that they face. However, we have to place a lot of trust in their judgement of what is deemed a serious threat and how much force is ‘reasonable’. It can be a frightening experience getting arrested or being restrained, but if a weapon is used, it can be terrifying, particularly if the weapon is being used inappropriately or without just cause. During peaceful protests there have been many reports of people being injured by the use of a Taser on them, even when they have already been arrested and put in handcuffs. If you or a loved one have been a victim of Taser misuse which has resulted in an injury, we have highly experienced personal injury solicitors that specialise in claiming compensation against Police and can help you to get the compensation you deserve. Heart attack – particularly if someone already has an existing heart condition. Making a complaint against the Police can be a scary and sometimes intimidating experience, but our specialist solicitors have many years’ experience in dealing with such cases and would be there for you every step of the way, ensuring that you get the result that you need to be able to move on with your life. The Human Rights Act of 1998 sets out the primary rights and freedoms that everyone in the UK is entitled to. The Police, councils, schools and local authorities all have a moral and legal obligation to ensure that these rights are not violated but instead are protected. The right to life – every human being, no matter their background or current situation, has a right to life. The right to have privacy. Access to healthcare, treatments and medication. Freedom against harassment or discrimination. If you feel that you have suffered an infringement of your human rights, then call us and we will give you a free consultation session. We work on a No Win No Fee basis and our team is ranked in the leading claims directories. 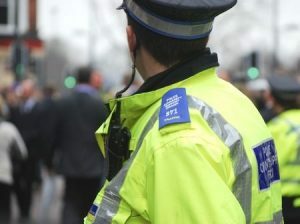 The amount of compensation you can claim for UK Police misconduct will depend on the details of your own personal case. Unfortunately no-one can guarantee you any one particular amount but we can give you an estimate based on previous Police misconduct outcomes and the compensation payouts already received by many. What we can provide you with is the compensation against Police amounts. In the table below, you can find the average payouts for various injuries and problems that are often claimed for when suing the Police for negligence or misconduct. Pain and suffering £1,000 - £200,000 The amount a person receives depends upon the level of pain and suffering they have experienced. Mental anguish £3,550 For fear of death and expectation of loss of life. Severe psychological damage £41,675 - £88,000 The claiment will have extreme problems with their ability to cope with work, family and friends relations and everyday life. Treatment will be a long and slow process and the prognosis for complete recovery is poor. Moderately severe psychological damage £14,500 - £41,675 As with the above but with a slightly more positive prognosis. Moderate psychological damage £4,450 - £14,500 The claiment will still have problems with future vulnerability and their ability to cope, however prognosis will be good and there will be a marked improvement before the first trial. Less severe psychological damage £1,170 - £4,450 The length of the period of disability will be considered when determining the amount of compensation awarded, as well as the extent to which sleep and daily activities were affected. Severe post traumatic stress disorder £45,000 - £50,000 In cases where Police misconduct or negligence has resulted in PTSD and will affect the claimants ability to function in the long term. Moderate post traumatic stress disorder £17,000 - £19,000 In cases where Police misconduct or negligence has resulted in PTSD and will affect the claimants ability to function in the medium term. Minor post traumatic stress disorder £3,000 - £6,000 In cases where Police misconduct or negligence has resulted in PTSD and will affect the claimants ability to function in the short term. Suing the Police for negligence or misconduct can be a complex and long winded procedure as there are so many variables to each case. This means that ongoing legal costs could be extremely high and certainly for people with limited finances, could mean that they can’t pursue their compensation claim. Suing the Police No Win No Fee could be the solution. All of our solicitors work on this basis. No Win No Fee means that there are no legal fees to pay until compensation is successfully claimed. If the claim is unsuccessful, the claimant pays nothing. So there really is no need to worry about finances at all when you use our service and your case need not be abandoned because you cannot afford to proceed. There are many other claims companies but you will struggle to find a better, more honest and reliable company than ours. We have many years experience in this industry and solicitors that specialise in claiming compensation from the Police. We do our upmost to secure the maximum compensation payouts for our clients, our reputation really does speak for itself. We really care about our client’s needs and appreciate that more often than not, they are going through a terrible time and so treat them with care, consideration and empathy. We always do what’s necessary to secure our clients compensation as efficiently and smoothly as possible so that you can concentrate on yourself and your recovery. We will do everything in our power to get justice for you and get you the compensation you deserve. If you have been involved in Police misconduct or negligence and want to make a claim or have any questions, all you need to do is call us on 0800 073 8804. You will speak to a member of our team who will assist you in any way that they can. They will answer any questions you may have and will talk you through the claiming process. We are a friendly and professional team and will treat you with respect and be empathetic to your situation. You can feel at ease with us and rest assure that your recovery and compensation claim will be our main priority. By following this link you can find information on Police misconduct outcomes, met police misconduct hearing results and Police misconduct hearings public. Find out how much compensation you can claim for professional negligence and get free legal advice.